I’m usually happiest in two situations. First is when I’m pushing myself physically and mentally, and secondly, when I’m outdoors enjoying all the activities I like to partake in, like running, paddling, and mountain biking. Luckily, I get to combine both those into one package when I take part in Adventure Races. 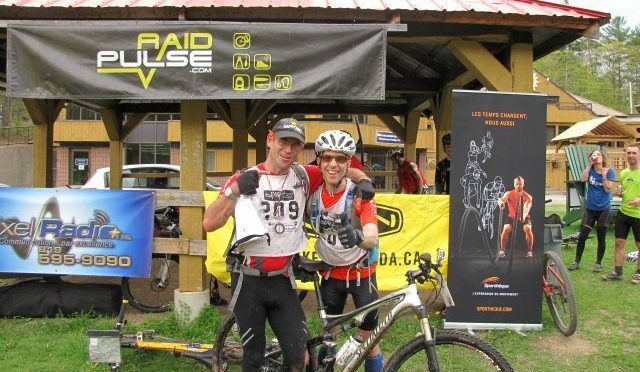 While I have planned to focus pretty much exclusively on trail running this year, I decided to get things started by taking part in the 8 hour Raid Pulse adventure race, now in its 15th year!! Since it may be my only AR event of the year, I wanted to make the most of it. I was racing and filming the event, and also decided to link up with my good friend and AR veteran John Ranson for the event. Read on for the skinny on the race. Leading up to the race, my training was predominantly trail running, combined with my daily commute to and from work on my road bike. I did zero true mountain biking, and the only paddle I pulled off was when John and I got out for a nice 12k paddle on the Gatineau River. 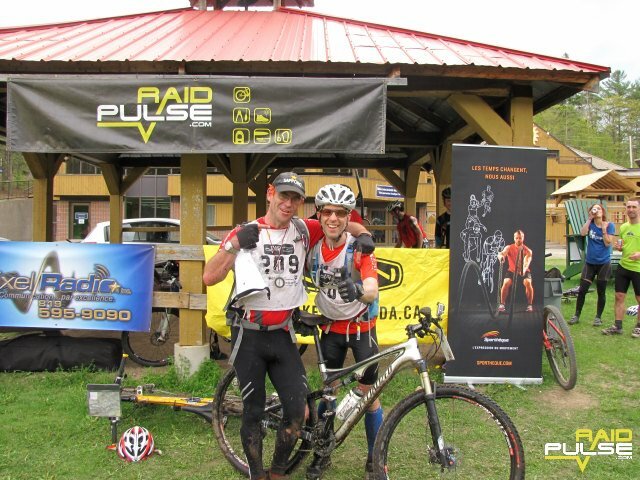 At that time, we chatted about our expectations, with John warning (read: foreshadowing) me that he hadn’t done much biking, so was pretty sure he’d be slower than me. I assured him that was okay, as my main goal was to push hard, and have fun with a friend on the race. He agreed to take care of navigation so that I could focus on filming. Race day broke clear, sunny, and near perfect. It promised to be good weather for most of the day, with sunny to overcast conditions and not too hot. 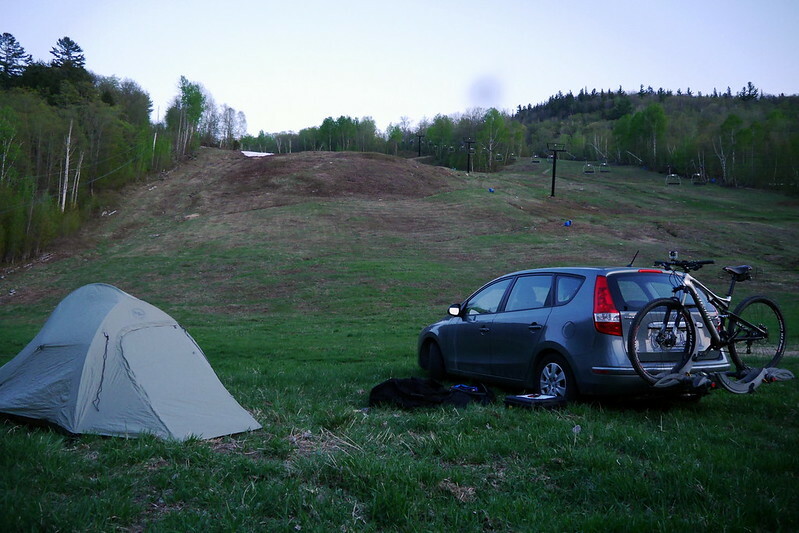 I had camped onsite the night before so that I wouldn’t have to scramble in the morning, even though the race was only an hour away at Mont Ste. Marie. This area has done a great job in building up its mountain biking options in the recent years, so I knew biking would definitely figure in prominently, but would actually be single track, aka the FUNNEST riding possible. At race briefing, we got our maps and saw the course layout for the first time. The order of the sections were as follows: trekking, paddling, biking, trekking, biking, finish. The start featured a straight run up the ski mountain in front of us, which would help separate the race field and spread us out. We took off at a decent pace and I’d say we were in the top 10 heading up the hill. We had a few minor bobbles on the opening trek, but they only lead to a few minutes of accumulated errors in our estimation. We had ALMOST skipped a CP, but thanks to us both being navigators and double checking what we’d covered, we caught our mistake in time to not impact our routing too much. All in all, we were very efficient, and our navigation was quite strong on this leg, allowing us to pop out and get on the water in the top 8 or so position. The water was glassy smooth in the late morning light, and our canoe was identical to most of the others, so we had no real excuse for any shortcomings in the paddle leg, which would actually total a shorter overall distance than our one paddle training outing! Once on the water, and headed to the first ‘advanced’ CP on the water, we were surprised to see the lead team already paddling back to transition! That meant they had 30-40 minutes on us. Also, I don’t think I have ever seen a canoe move so fast on water. There was a wake coming off the back. They looked like men possessed, even though there was no one near their tail. But, that’s what you have to do in order to secure a podium. Never give an inch, no matter what. 8 hours is still a long time, and anything can happen. For our part, we wrapped up the paddle leg pretty uneventfully. Our time was nothing to brag about, but we generally kept our place on the water, perhaps losing 1 or 2 slots. I still had us pegged as contenders in some fashion, given the future trekking leg, and our strong navigation abilities. At transition, we took the chance to fuel up a bit and make sure we had all we’d need for the next long section. We were about head into the MTB trails of Velo MSM to catch a bunch of checkpoints before doing a bit of cross-country to reach the next trekking leg. We headed off at a moderate pace, figuring we’d warm up a bit on the road section before tackling the trails. Already, John started dropping the pace a bit, but I was unfazed, even though he was already visibly irritated at himself. I did my best to encourage him and let up my pace a tad. I’m probably strongest on the road based on all my road bike commuting. 30k per day helps! We turned onto the Velo MSM trails, and thankfully we had more mental work to do in determining routes, etc, which helped mitigate pacing issues. However, it did become clear quite quickly again that John was getting frustrated at his own progress on the singletrack biking. 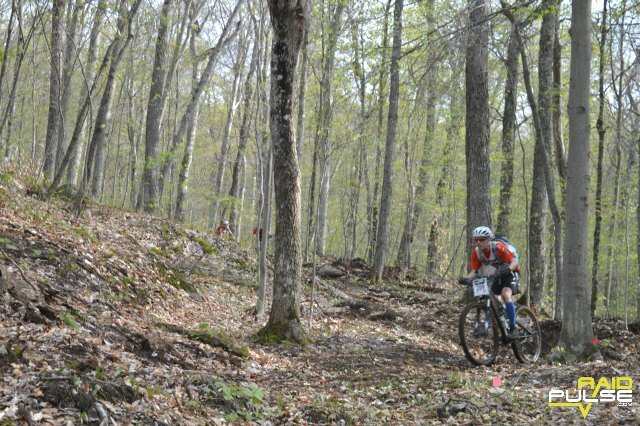 For my part, I was just having fun on the trails, and felt quite (surprisingly?) strong out there. I had forgotten just how much I do love mountain biking. Maybe someday I’ll get back into more cross-country riding rather than spending all my time running like a fool out there! I kept telling John not to worry about it, just focus on the riding, and not waste energy feeling frustrated, since it wouldn’t help anything. We’d get where we were going when we got there. I felt really bad later on when he outright told me I should just continue without him. I have NEVER abandoned a team-mate, and firmly believe in the team construct, and accept that a team will only ever be as fast as the slowest person, and all you can really do is help them. Unfortunately, there was almost nothing I could do for John. I took as much weight out of his pack as I could, but it wasn’t enough to boost his spirits much. However, John knows the game. And he also knows how to push through. He is used to being at the pointy end of the stick, and I think wasn’t mentally prepared to deal with feeling weakness. Lucky for me, I’ve been there, A LOT, over the years. Being the weaker team-mate on more than one occasion, I felt qualified to know what NOT to do or say. I stayed positive and we just kept pushing. We got all our CPs and made it up to the top of yet another mountain (hill?) to arrive at the remote trekking transition. Back on our feet, we hoped to move smoothly through this section. We did move well, with me trying to stay ahead and grab the CPs as quick as possible, letting John hang back where we could and focus on the maps. The best part of this section was the little swim that we had an option to take. I didn’t hesitate to strip down, head into the swamp / lake to cool off, pick up a CP, and head back. Since it was under 100m, John stayed on the far shore. The water was very refreshing, but smelly. I emerged like a swamp beast, with all the insects instantly attracted to me. Wasting no time, I re-dressed, and we got back on our way. Back at transition, John got busy mapping the final few advanced checkpoints (which we didn’t get to see until this moment). It was more biking, so not John’s favourite. He was lobbying to skip a few and just make sure we finished under the 8 hr time limit. You could go over time, but the penalty was a point per minute, and with every CP worth a fixed 25 points, you had to make a decision on your approach. After a quick discussion and looking at the maps, I conceded that we could definitely skip one outlier CP, but felt we should do our very best to nab the rest. John agreed, and we were off. By now, things were also very hot, so dehydration was starting to fall over some racers. I’d managed my fluids pretty well, but John was low. We kept hacking away on the bikes, making steady progress. Again, we bobbled once on the bikes, overshooting and adding a couple kilometers in distance, as well as probably 20-30 minutes over ‘optimal’ at our speed, but nothing major. Certainly nothing soul crushing. Overall, I can safely say I was still having fun, and although I will admit to being disappointed at NOT clearing the course this time around, it was still a positive experience. Being mentally and physically strong for an entire race felt good, and gave me confidence going into another race season. We wrapped up the race on the bikes with a super-fun descent on more of the Velo MSM trails. I let myself get a bit ahead of John in this section, but only because it was a downhill technical run and I really wanted to bomb it for fun. I passed a lot of other racers, then waited at the exit of the trail for John. When he came into view, I hooted and hollered, and we rode the rest of the way down smiling having fun. UNTIL I did an endo!. 100m from the finish in a ditch. Sadly, it wasn’t captured well on film, but I basically was following a track that went straight down a dropoff into a ditch rather than the track next to it which had a clean path down and out of the ditch. Thankfully, no injuries were sustained, and we crossed the line. When the dust settled and results were tallied, John and I finished off in 7th in our category and 11th overall, in a field of 40. Not podium material, but completely respectable, and still quite high in terms of number of CPs attained (we only skipped 1). After reflection, John decided that he got what he deserved, as he knows that you need to put the training in to do well, and he simply hadn’t been putting in the time to be a top contender. He also shared that he was used to being strong, and had hated the thought of slowing me down and/or holding me back. But while I would have liked to race harder and push myself to my limits, I was completely content to race the way we did. I accomplished my goal and spent my day in my ‘happy place’. What more can I ask for? It’s not always about winning. It’s about learning about yourself and about others, and savouring the experience. As usual, the entire Raid Pulse crew put on a great event. 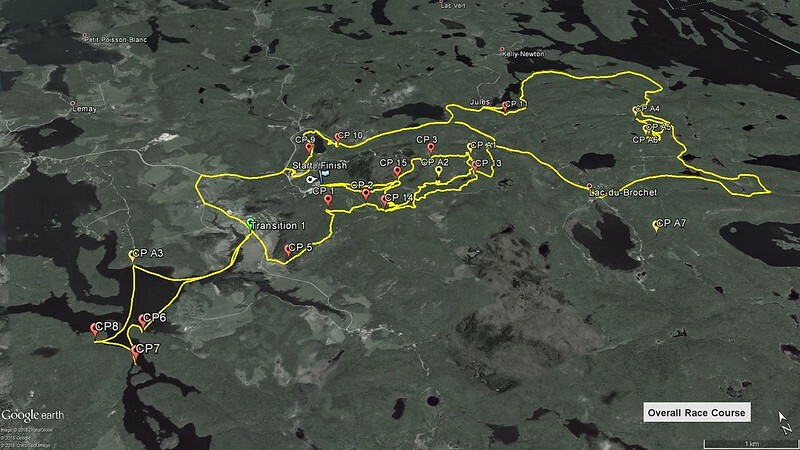 Just the right size of event, with the right number of volunteers, and a well laid-out course. Thierry knows what he is doing, and I hope to be doing this event for another 10 years! Shortly after we finished however, storm clouds rolled in, and I suspect some racers may not share my fond memories, as they got caught in a torrential downpour on a very technical descent on mountain bikes! Yikes! Hopefully the rotisserie chicken meal at the awards ceremony made up for it! Well, that wraps up my race report. If you haven’t done so already, please watch my race review below to get a sense of this race. Put it on your calendar for next year. If you’ve never done an AR event, this is one to try. With both a 2hr and 8hr option, there is no reason NOT to try it! That’s it for now. 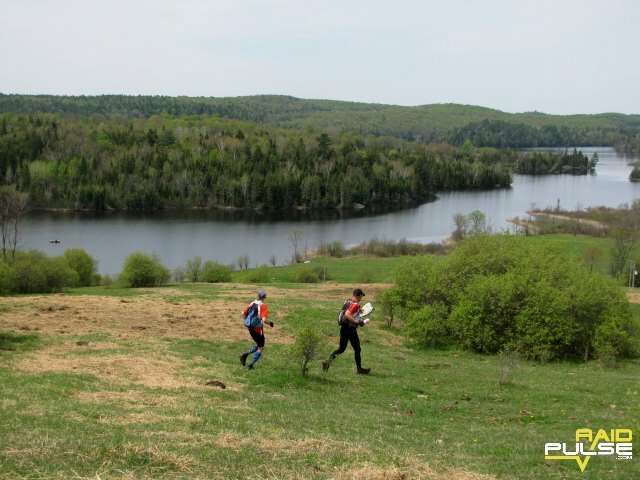 Stay tuned for my report from my first 50miler (80km) trail race of the season coming up next.